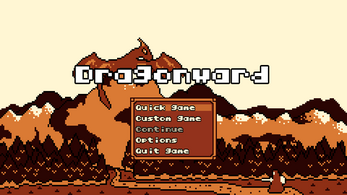 Dragonward is a retro-inspired arcade game with focus on resource management. It features a simple yet beautiful 4 colors pixel art and remarcable chiptune music. You're a newbie traveler on the road to the dragon's nest. 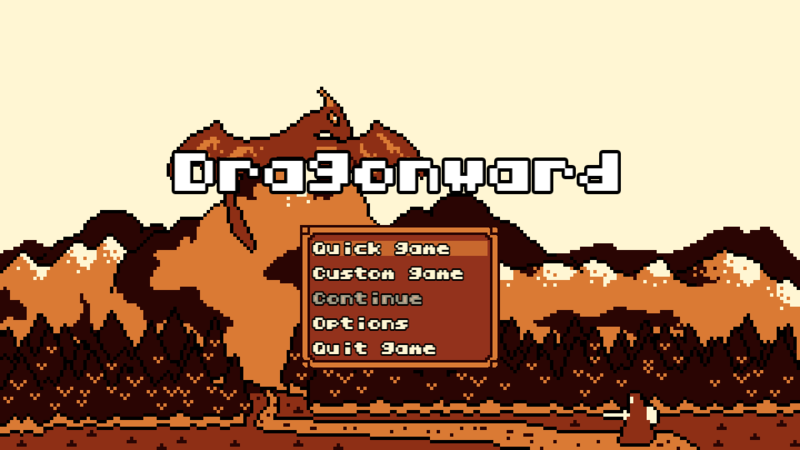 Your objective is to slay the dragon, save the realm and, of course, become The Dragon Slayer! Sorry no ladies in distress here. Or you'll just die on the first stage. It also features an offline score board, so you can compete with the grandpa! Have you played Eastward Quest? I made that game a few years ago and saw some similar ideas in this. Sadly I did not. The main influence for the fixed direction in Dragonward came from One Way Heroics. I have a particular interest for roguelike games, and that's also the reason why my game is turn based. I could not play your game because I'm at work right now, but I saw a video and it looks really nice. Huge coincidences. 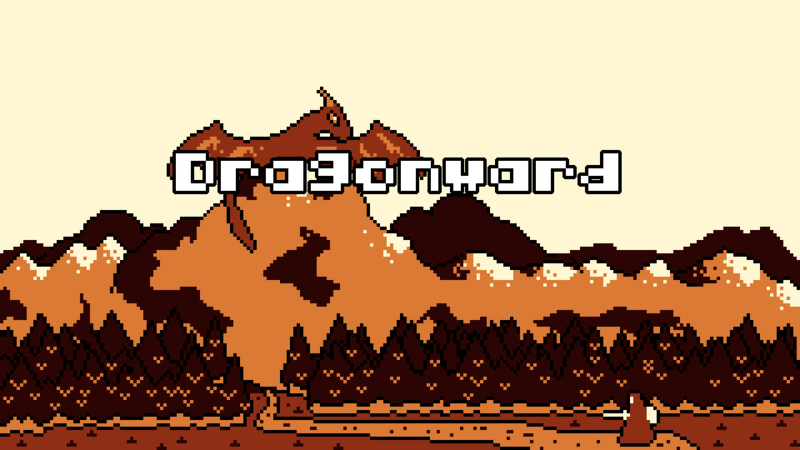 In Eastward the final boss is also a dragon. I guess they're RPG tropes so it makes sense. 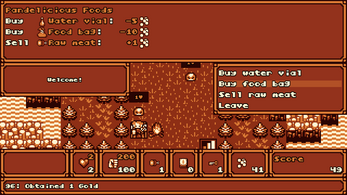 At first, I also wanted "cities" where you could buy items, but I ended up focusing on the "action" more than the "RPG". I didn't know much about roguelikes back then, so that's one thing I missed. But now I'm making a roguelite, Roguemance. Where are you from in Brazil? Oh the guy behind Roguemance are you! I didn't realize that... I keep seeing your game on twiiter, it looks awesome! Also, I thought about adding something like a tavern to Dragonward, like a hub to get missions and improving the character, But I realized people would get easily bored anyway... I think the game style in general would fit mobile better. Thank you for your awesome gameplay video and support to all the indiedev community. I played it 20 minutes. Its enjoyable, but I feel it needs more enemy variety and more ? chances with the potential for something bad to happen. My highest score was 125. Hey, thanks for playing Dragonward! I'm glad that you found some joy in it. 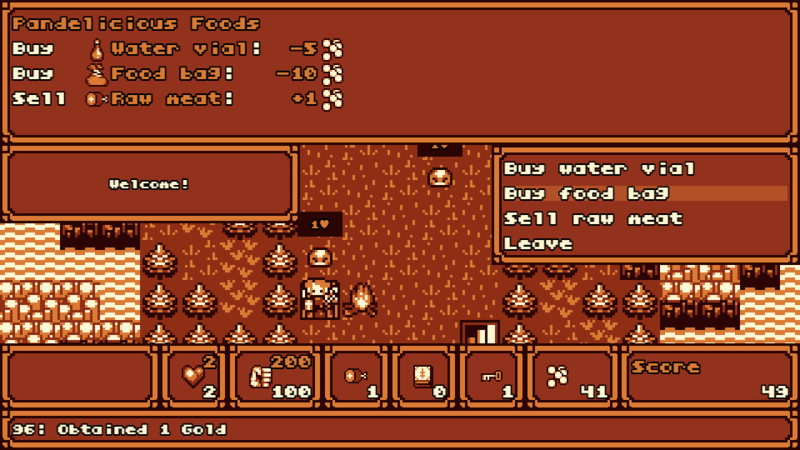 The game actually features more content, it has more stages with different rules for the resources and a bit of variance on the monsters behaviors, and dungeons that makes it harder for surviving. Also, choosing different answers for the events (question marks) may spice things as the outcome can change, and there's a trade off in between chance and reward (including bad things) according to the one you pick.